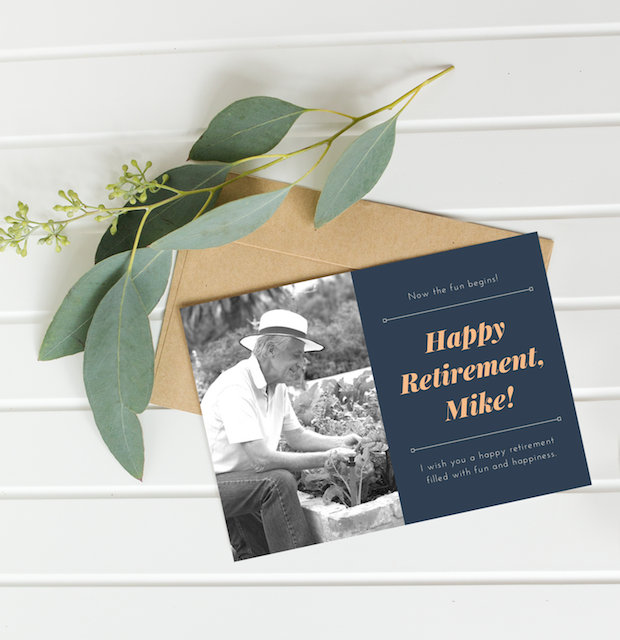 Find fresh and unique ideas to send off your retiree in the most unforgettable ways possible. 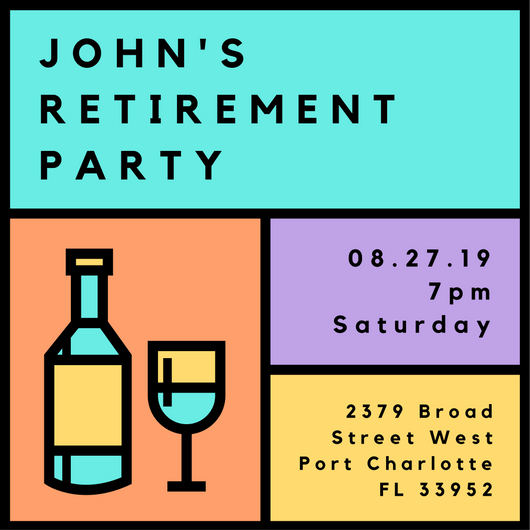 Scroll through our selection of fantastic imagery and designs, and make your upcoming retirement party that much easier to pull off. Get your guests in the mood to celebrate with our collection of excellent designs. 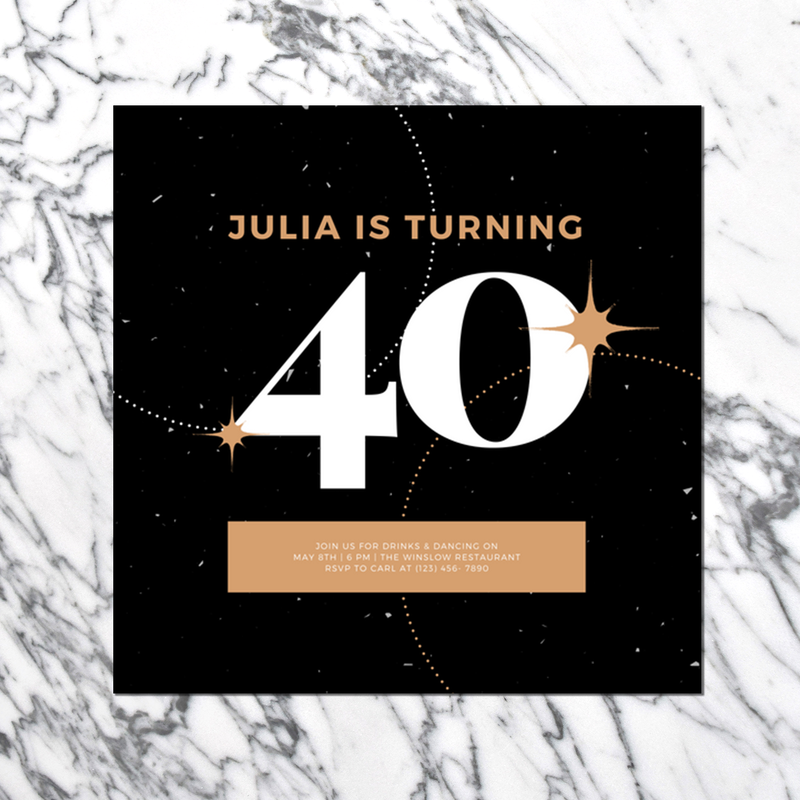 Whether you’re looking for greeting cards or invitations, you’ll be sure to find the perfect template for your needs! 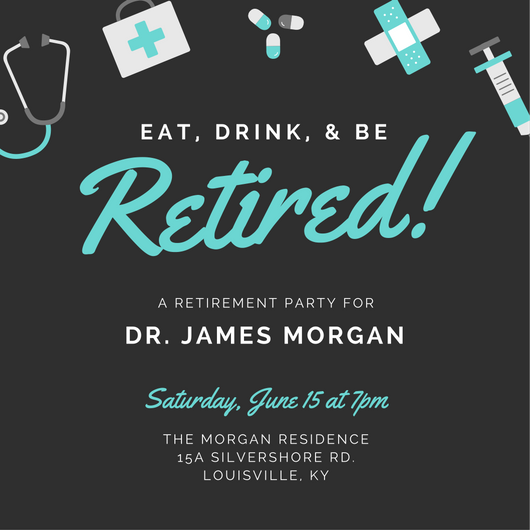 Celebrate the official start of your retirement with a fun party! 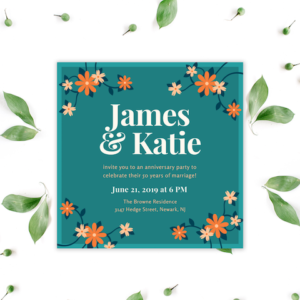 Scroll on to browse through our gallery of great imagery and designs where you easily find inspiration for your party favors, decorations, and menu! 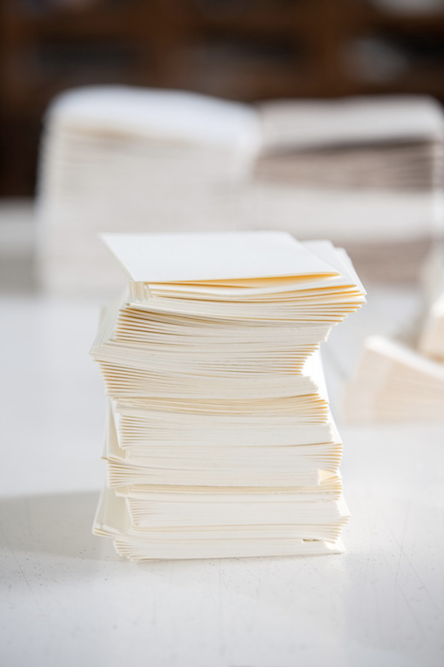 Add a subtle yet quirky touch to your party venue with a tall stack of white papers! 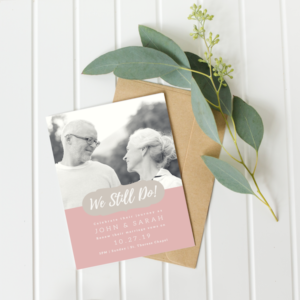 They can even double as cards for your guests to write down their warm wishes to you. Give your party guests refreshing drinks that pack a punch. 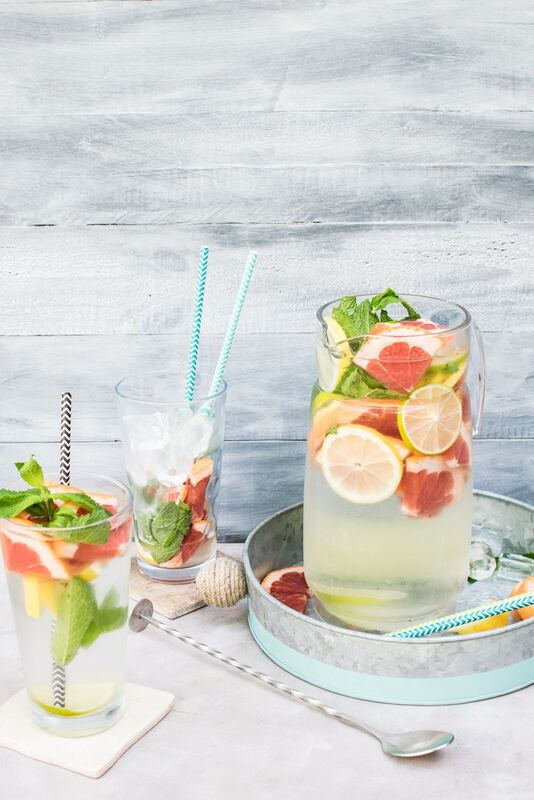 Fill your thirst-quenching refreshers with some mint and your favorite fruit combinations to add a zestier appeal! Get inspired by this clean, minimal, and visually pleasing flatlay of office essentials. The pops of black from the office tools and green from the leaves stand out against the white backdrop! Give your presents an effortless rustic touch with stiff brown wrapper and twine! 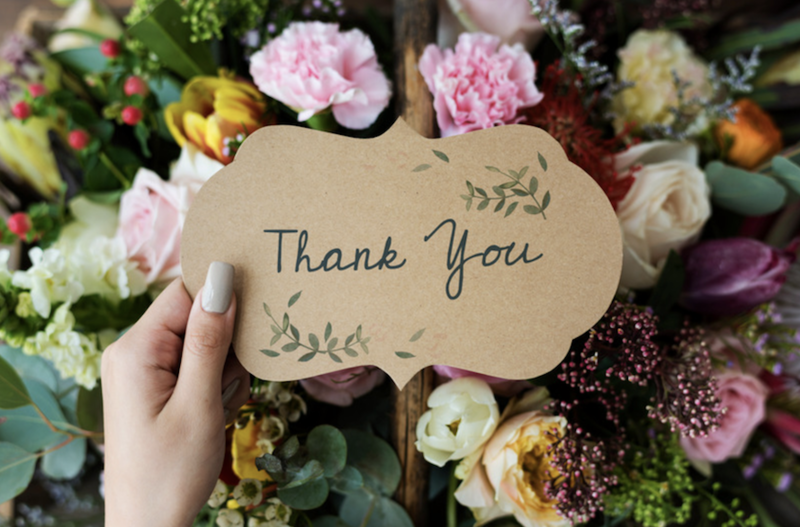 Grab a simple white card, then write down a heartfelt note of thanks. Your guests will admire a simple yet elegant table setting for your retirement party spread. 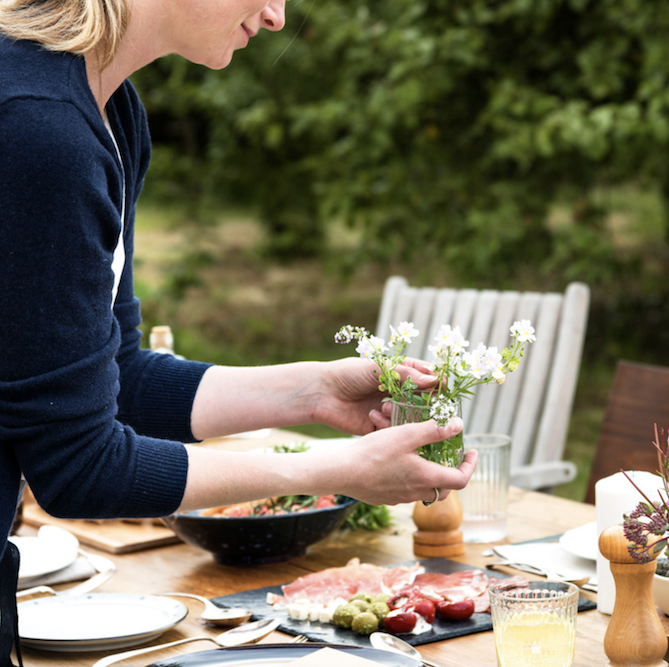 Spruce up the table and add a subtle romantic touch with pretty blooms in dainty vases. 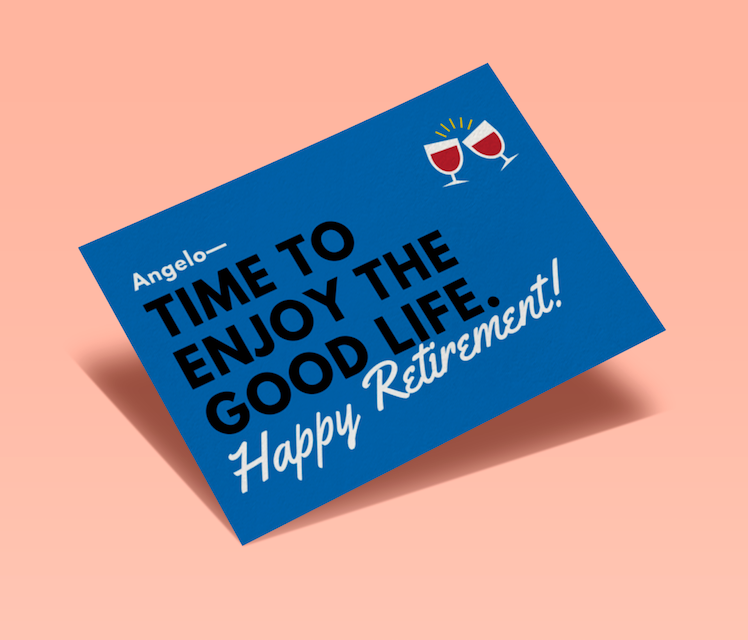 Throw an unforgettable retirement party like a boss with quirky personalized mugs like this one! 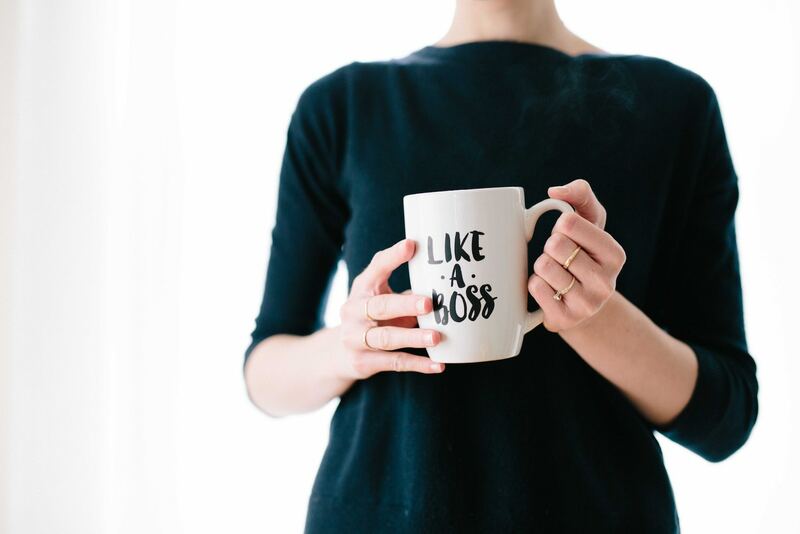 Featuring text that says “Like A Boss,” this cup is perfect for this milestone occasion. Not only are they easy to make, kebabs are also easy to eat! 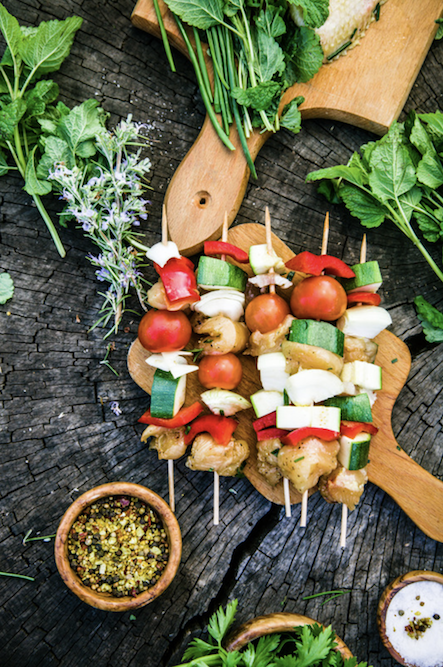 Skewer seasoned meat and veggies on a stick and grill them to perfection. Then, serve with dip for that extra splash of flavor. Salads are as healthy as they are easy-to-make! 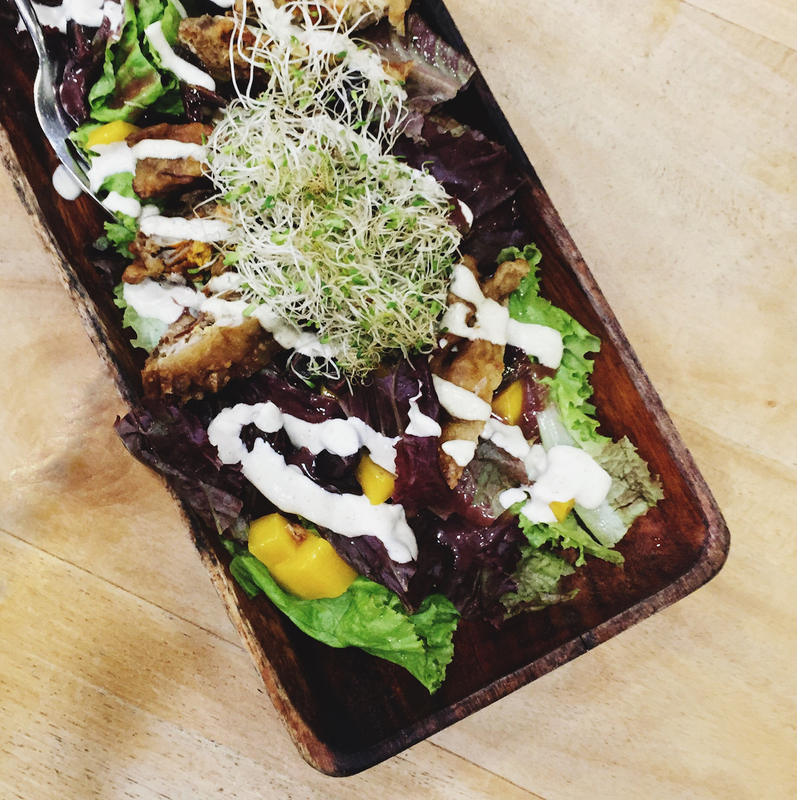 Kick off a day full of food and celebration with a mix of your favorite greens, fruits, dressing, and toppings. 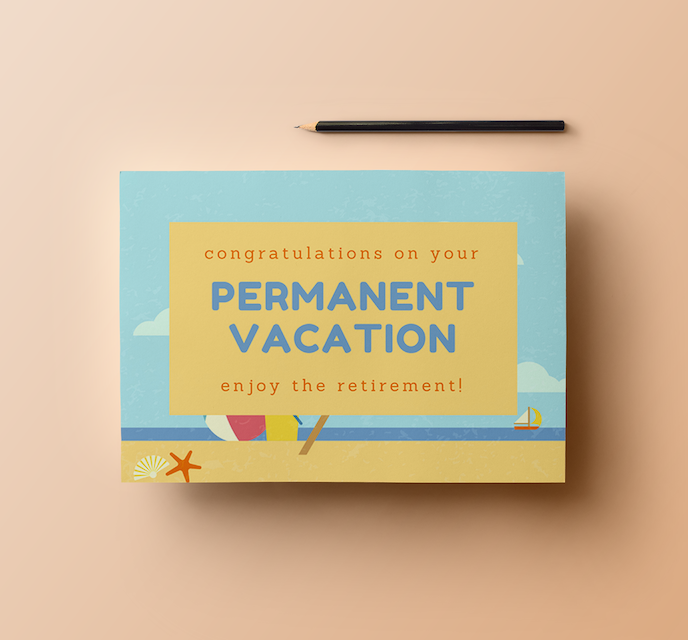 Congratulate your friend on their retirement with this beach-inspired card! 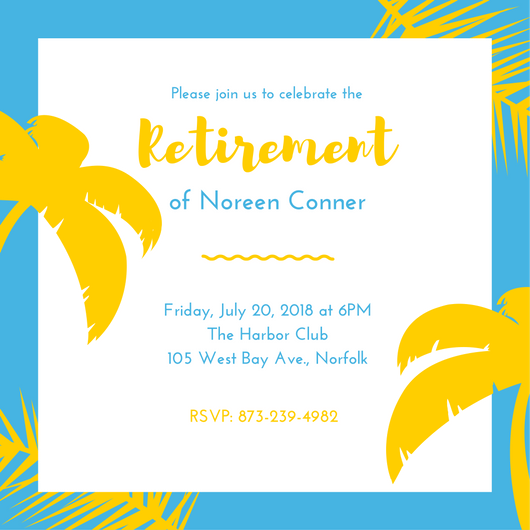 Fun and creative, this design will make the retiree crave for the sun, sand, and sea with its illustrated beach background. Make your retirement party extra special with freshly-baked cupcakes! Dress up the sweet treats with tasty frosting and add an extra flourish with toppings of your choice! 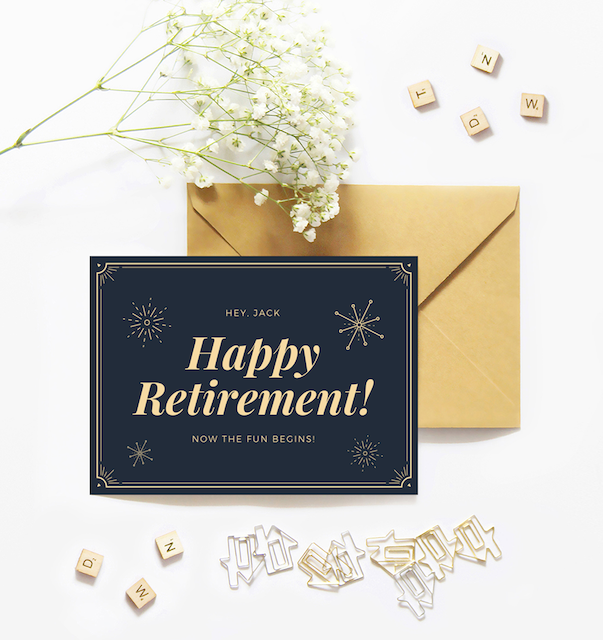 Give your retiring friend a well-deserved pat on the back with this gorgeous card featuring gold fireworks, elegant borders, and classic typography on top of a charcoal backdrop. 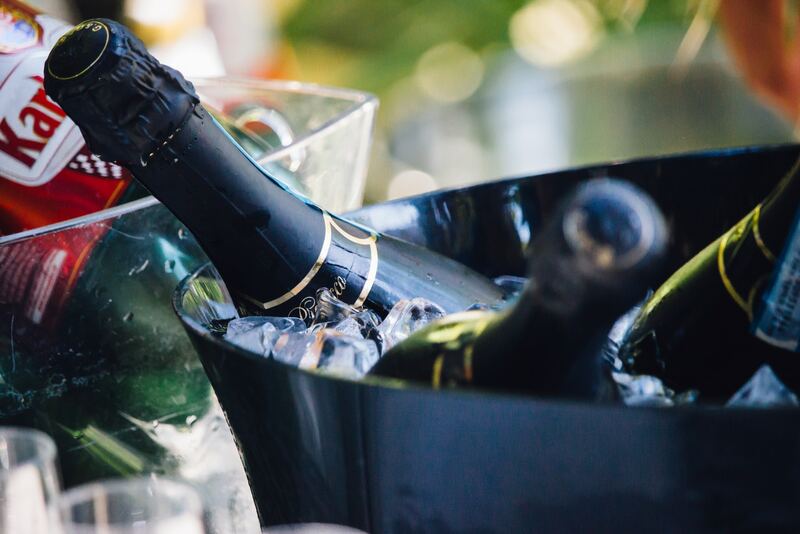 Grab your most toast-worthy bottle of champagne and raise a glass with everyone as you celebrate your years of hard work. A great toast is the perfect way to show your gratitude to your guests! 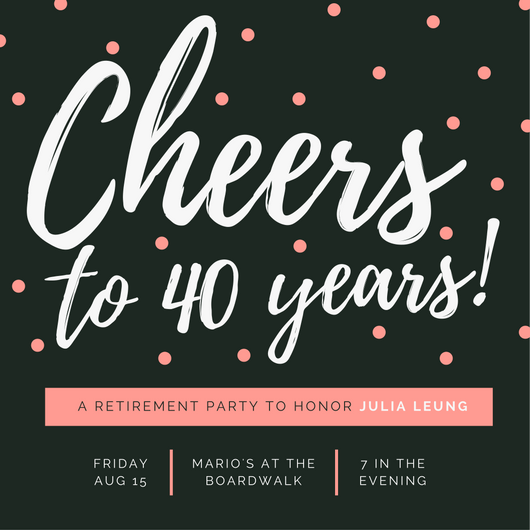 No retirement party is complete without bottles of wine! Don’t forget to place your favorite boozy beverages in sleek ice buckets to keep them cool and enjoyable. Entice your dear friend to embark on adventures they’ve never experienced before with this creative greeting card. With its illustrated bus and nature backdrop, this design will send them off in style. 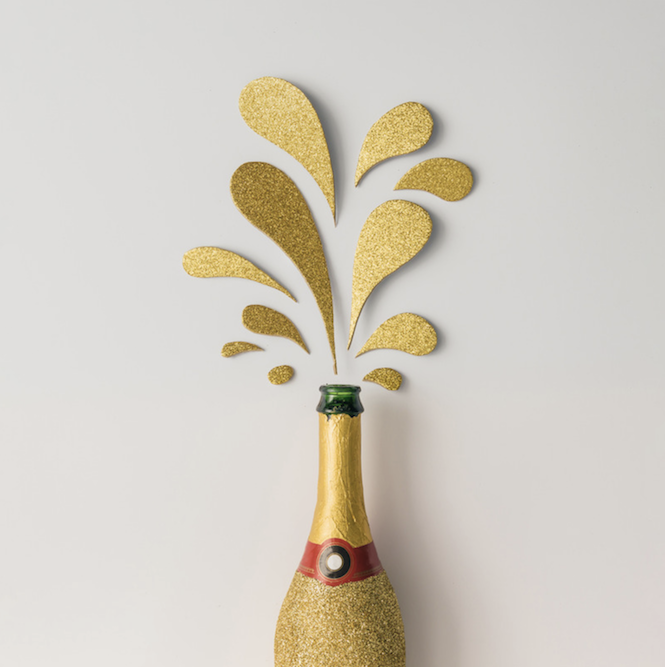 Elevate your retirement party with impressive bottles of champagne coated in gold glitter! 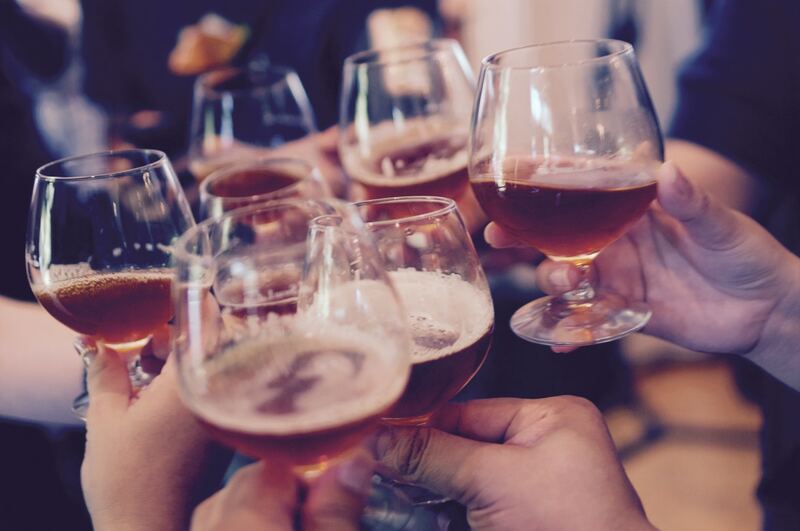 Raise a glass and make a great toast to you and your party guests. 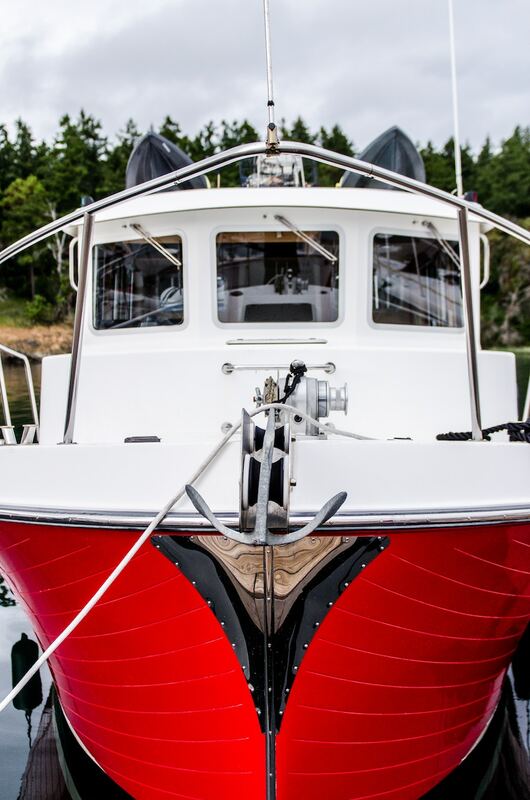 There’s no better time to ride an impressive boat than at your retirement party! Impress your family, friends, and colleagues with a ride on a luxurious boat to celebrate your milestone. Invite everyone to join you as you pay tribute to your great teachers with this artsy poster! Featuring illustrated book against a dark backdrop, this design will easily encourage the students and faculty to be present. 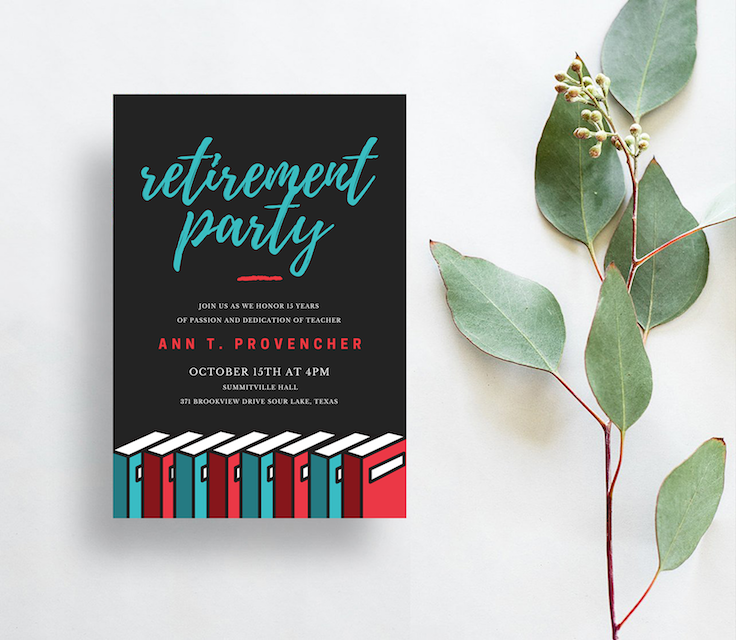 Celebrate your retiree in style with a festive fête at the office! 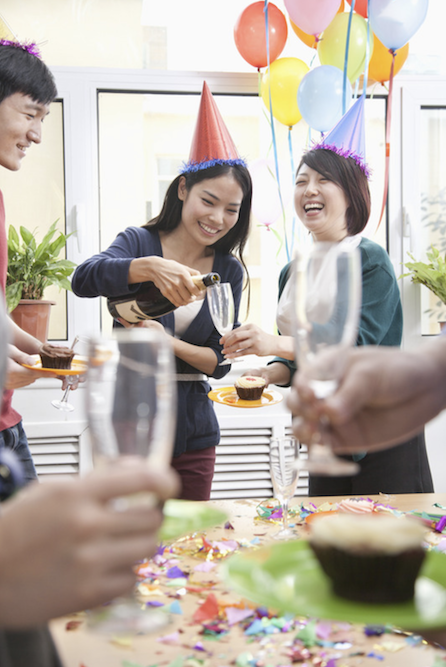 From the menu to the decorations, go all out and give your colleague a send-off party to remember. Put together an appetizing charcuterie board that’s guaranteed to impress your guests at your retirement party. 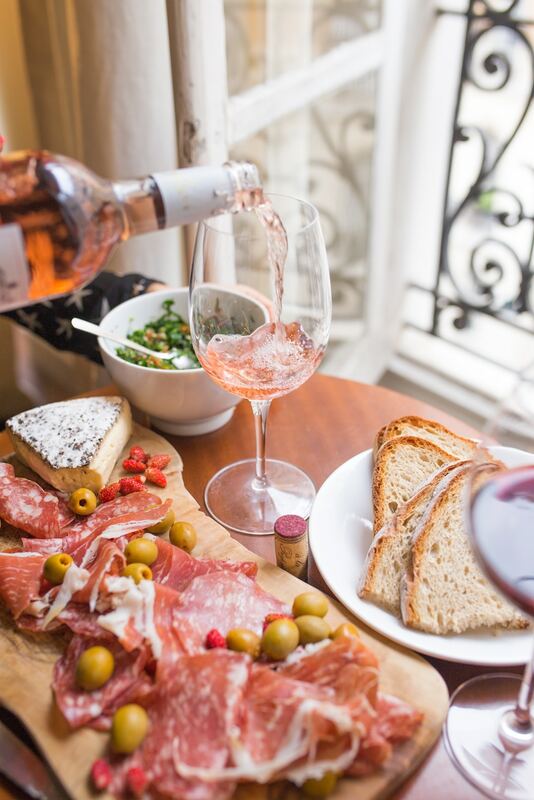 Serve with your favorite bottle of rosé to complete this crowd-favorite! 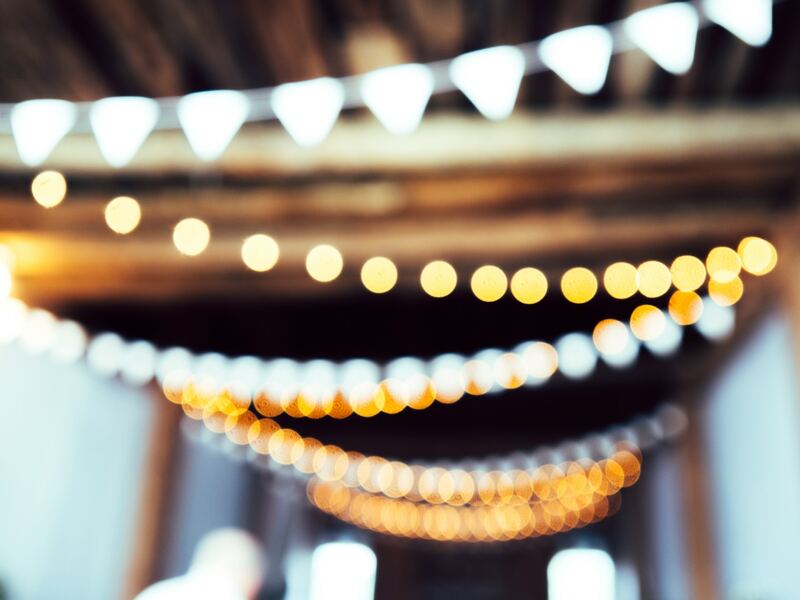 Make a brilliant statement at your retirement party with pretty fairy lights! String them around your party venue to set a festive ambience and create the perfect photo op. 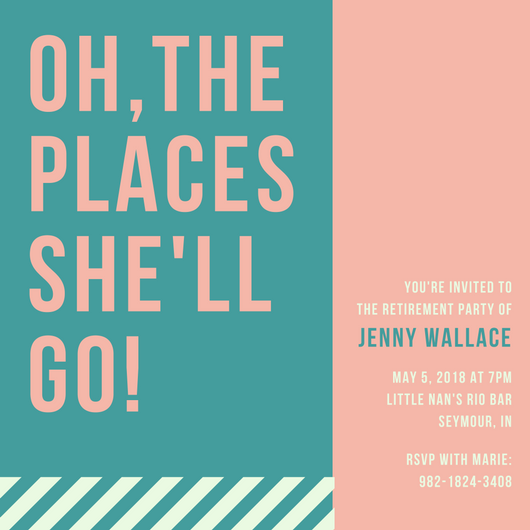 If you want to make your retirement party an intimate and cozy gathering, why not celebrate in the great outdoors? 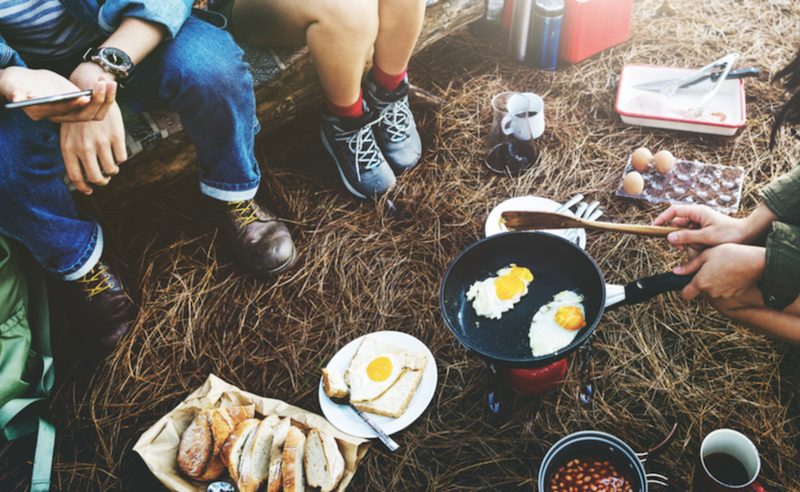 Go camping and marvel at the beauty of nature as you have a hearty meal! 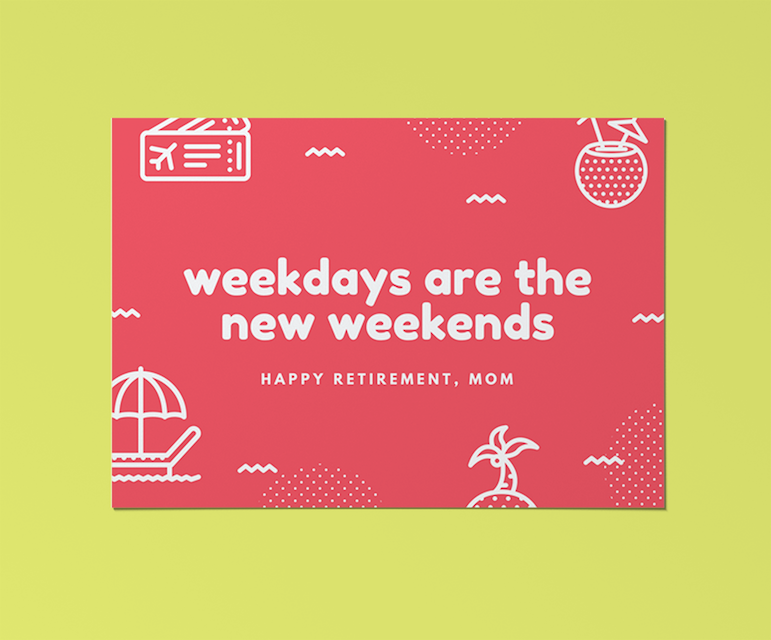 Wish your friend a happy retirement with this customizable card. 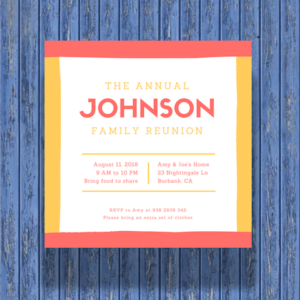 This elegant design comes with line details, rich colors, and even space for a photo of the retiree. 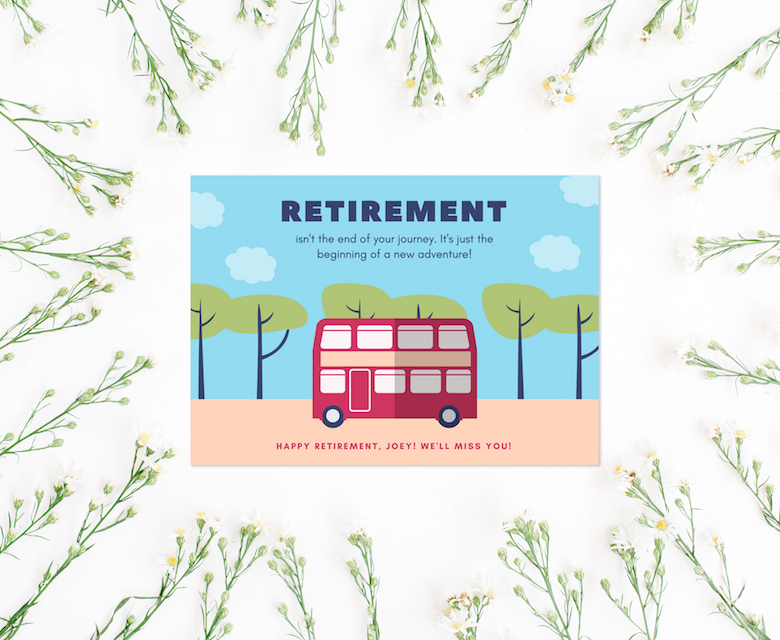 Send your warm wishes in style with this greeting card that’s perfect for your retiring colleague. Clean and minimal, it features tiny icons of clinking glasses of wine on top of a solid blue background. 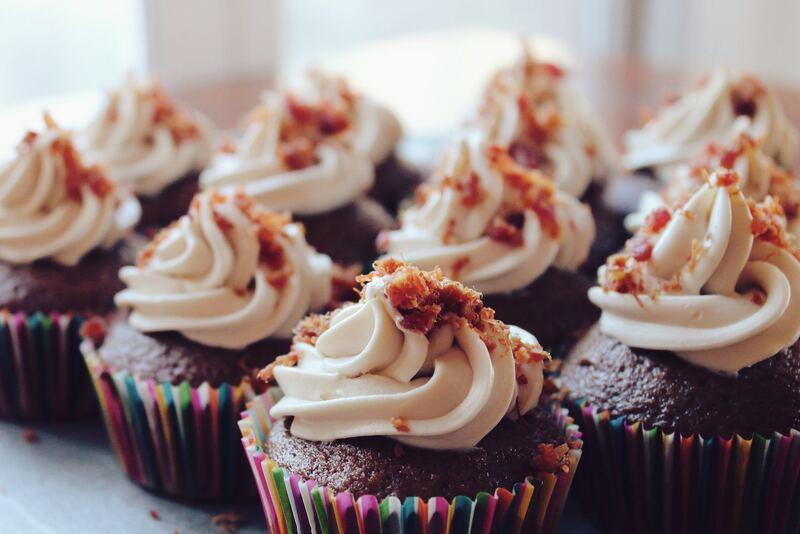 A sweet statement at any party, cupcakes are sure to satisfy your guests’ cravings. 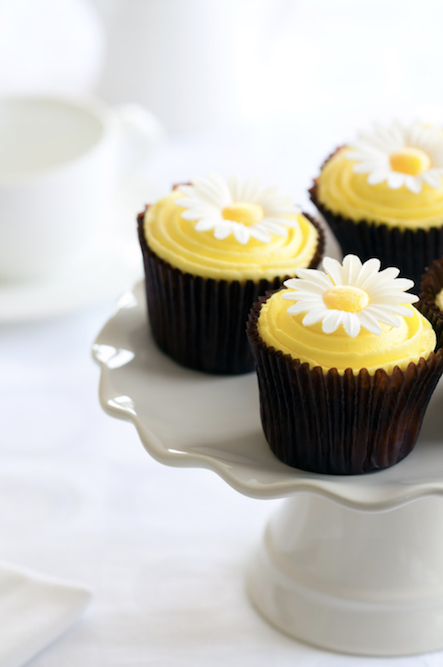 Whip up a decadent batch, then top them with yellow frosting and garnish with sugar flowers to finish off! 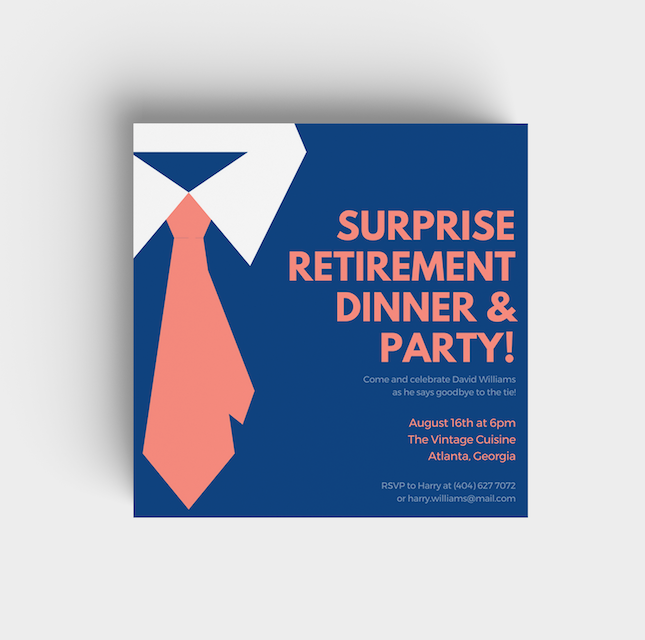 Keep the surprise party for your retiree on the down low with this invitation! 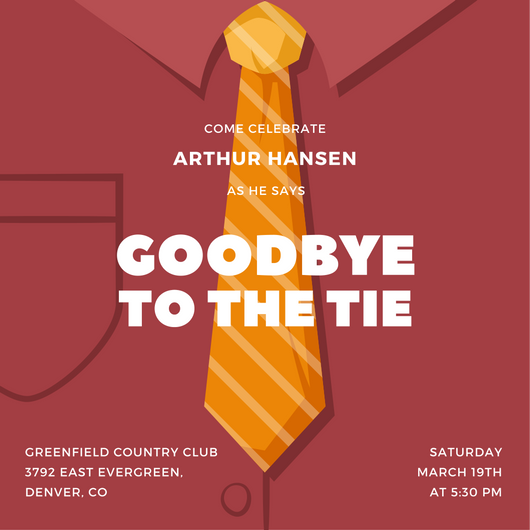 Simple yet artsy, this design comes with an illustrated necktie and a color combination of coral and dark blue for the rest of the elements. 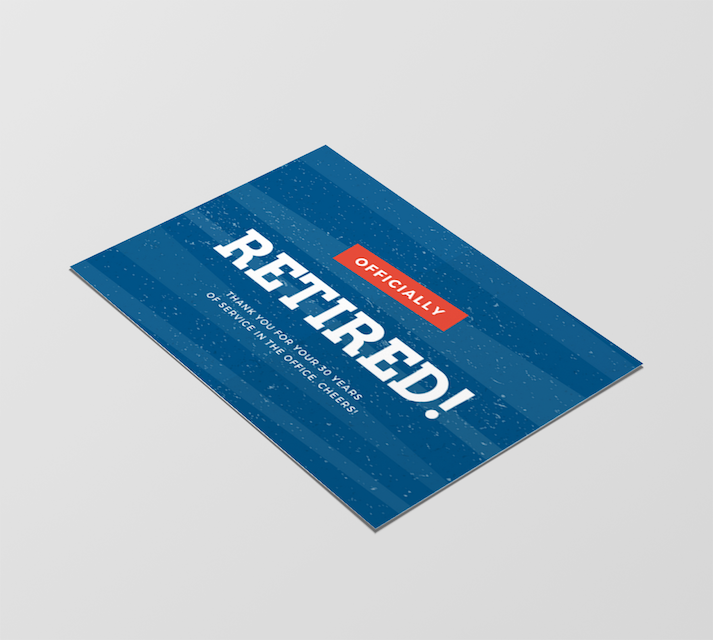 Show your gratitude to your colleague for their years of hard work with this greeting card! Featuring blue stripes and white specks, this design is a fun and unique take on the traditional cards you usually find. 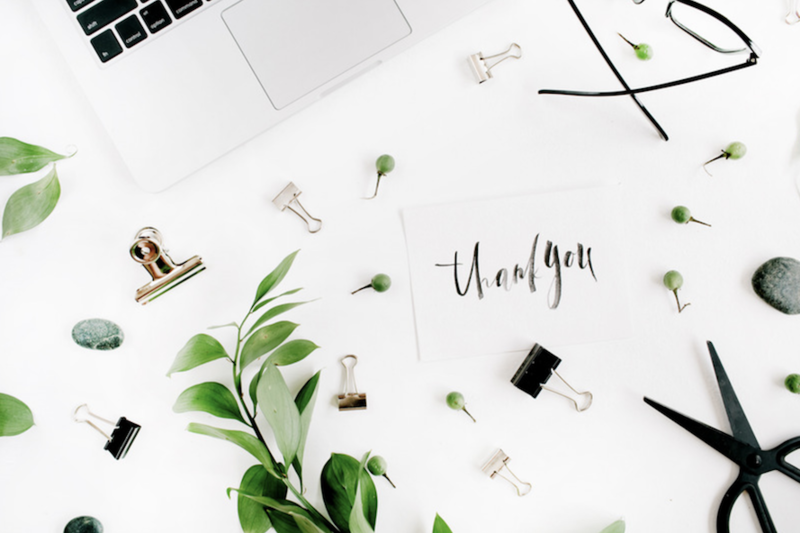 Heartfelt thank you cards go a long way in making someone feel special. 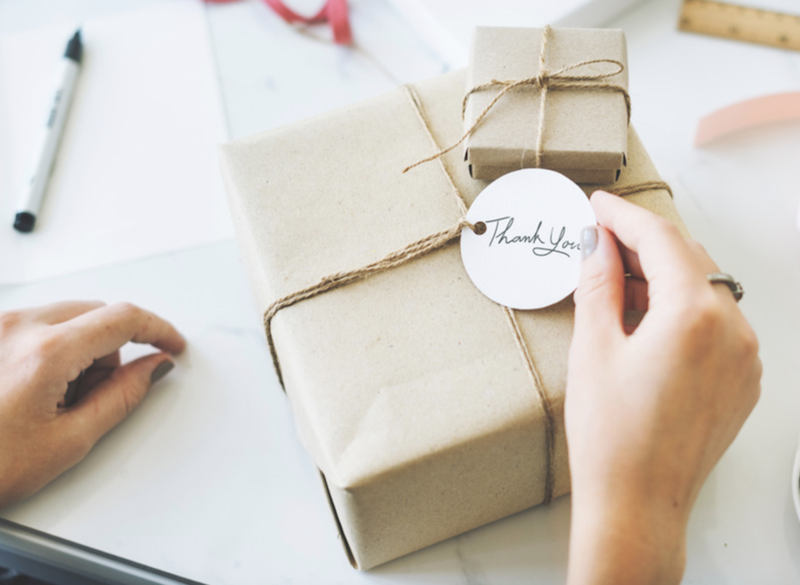 Whether you’re thanking your colleagues or thanking the retiree, you can take inspiration from this easy craft! 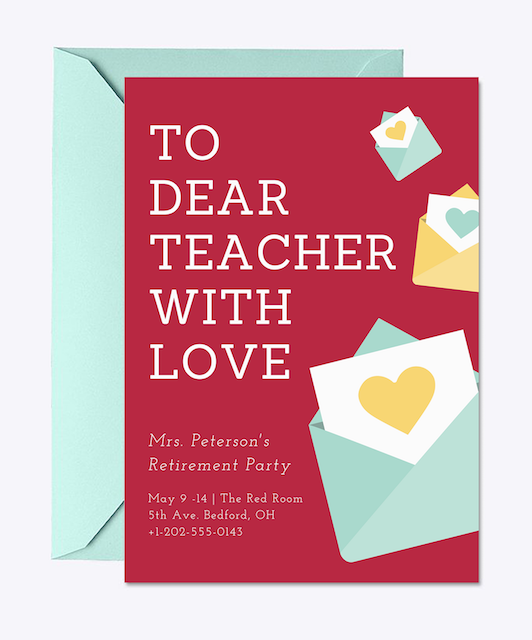 If you’re planning to send off your teachers with love, then this creative poster is the perfect fit for your needs. Decorated with illustrated love letters, this template will easily spread the word about your upcoming party. Your retirement gives you all the time in the world to travel more! 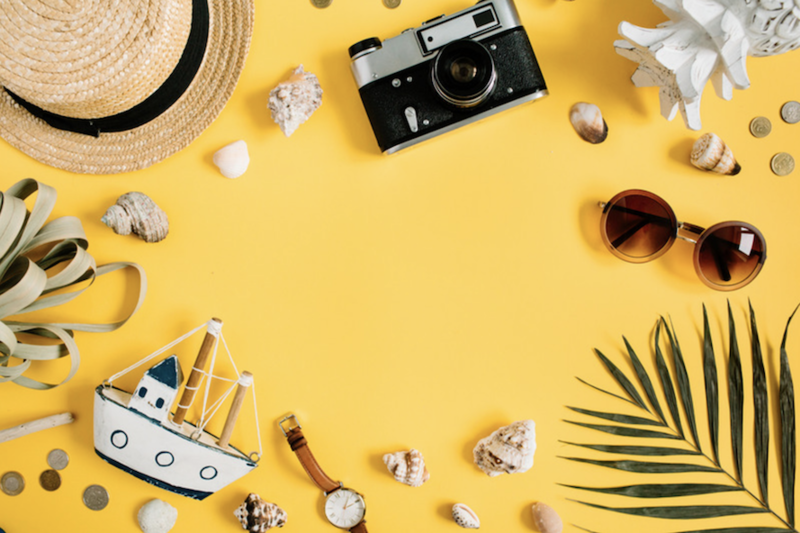 This vibrant flatlay is a visually pleasing display of travel essentials and beach-themed elements. 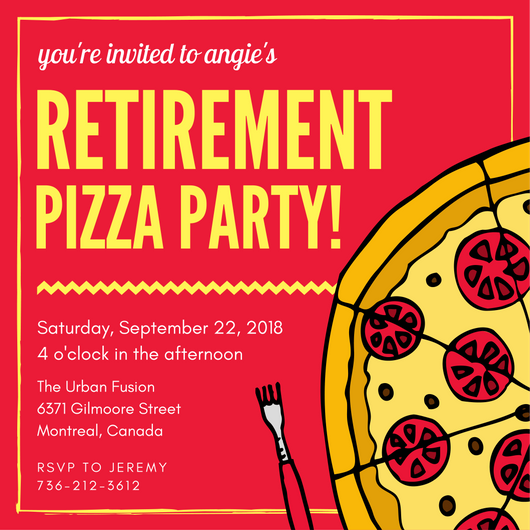 Everyone deserves a happy retirement, especially your friend! 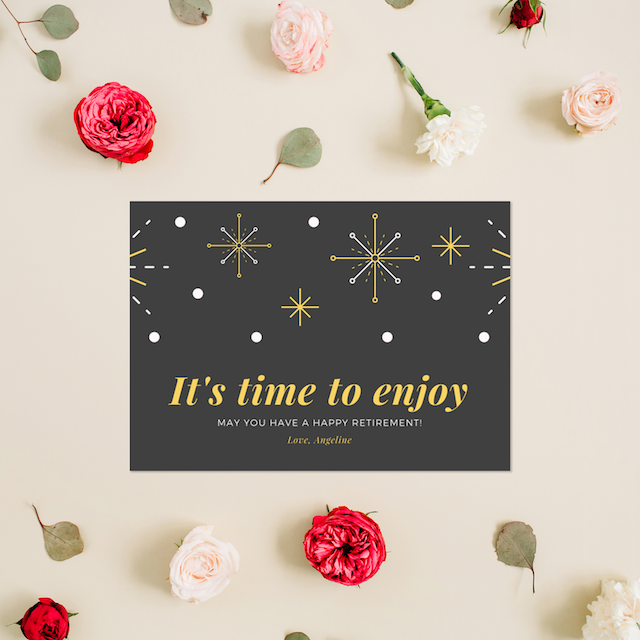 Glam up your greeting card with this brilliant design that features sparkles and dots in an elegant color scheme of charcoal, gold, and white. 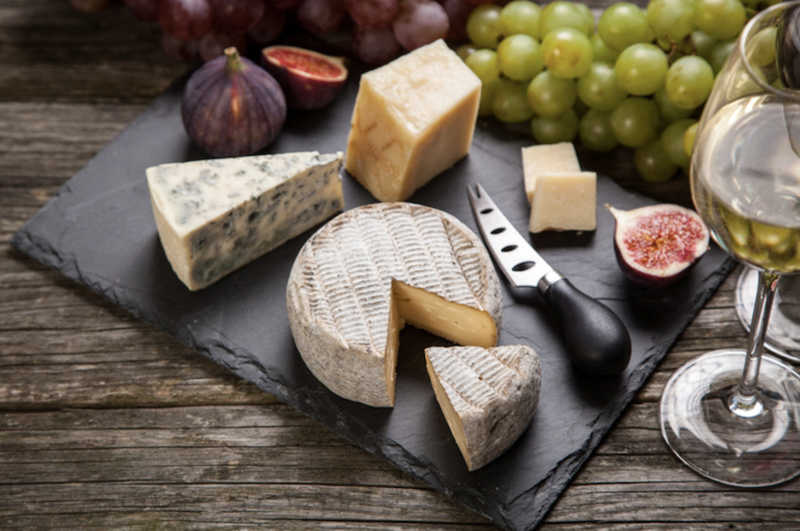 Wow your party guests with a winning spread of flavorful cheeses. Arrange them on a chic platter with figs and grapes, then serve with wine and bread! 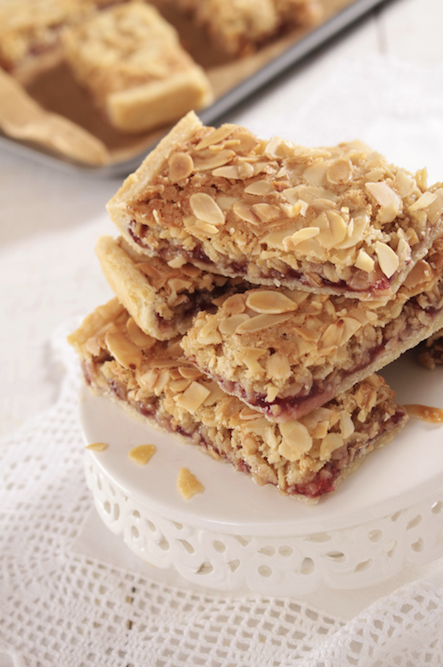 Make everyone look forward to dessert with freshly baked bars of almond, oats, and jam. Crisp and sweet, these treats will make for a great addition to your dessert table! 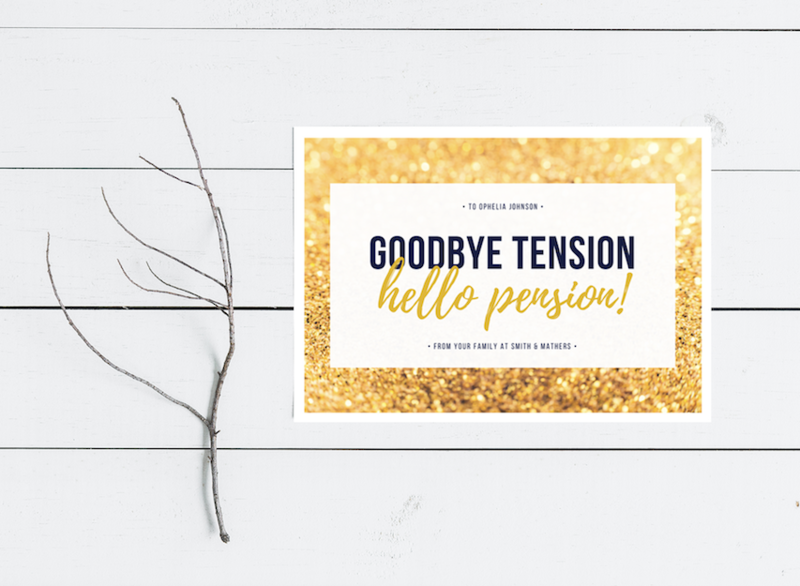 Show your friend just how fabulous retirement can be with this brilliant card featuring a background photo of sparkling gold glitter and a complementary color scheme of black, gold, and white. Who doesn’t love a good picnic? 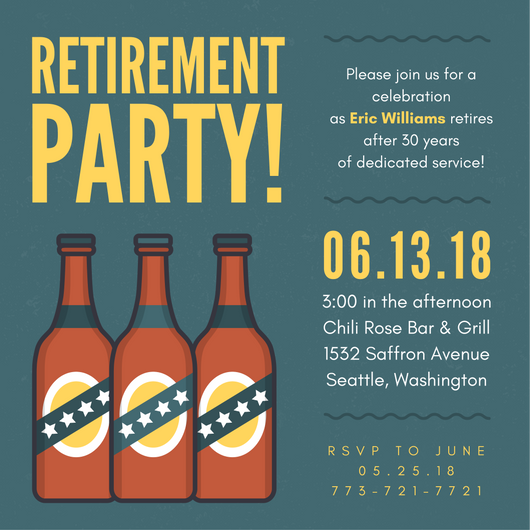 Gather your friends to celebrate your retirement outdoors. Enjoy a mouth-watering spread of your favorite dishes, from finger food to delectable desserts.